Another week in the books already, where does the time go? I'm not sure it's the same way in the world of an MLB player but the work week seems to drag only for the weekend to fly by. It's not right and it's borderline not fair but I digress. This morning rather than discuss things we cannot fully understand nor things we cannot change I'd rather just check in with Greg Bird and see how he is doing down in the Arizona Fall League. Remember the stats are not as important as his health. 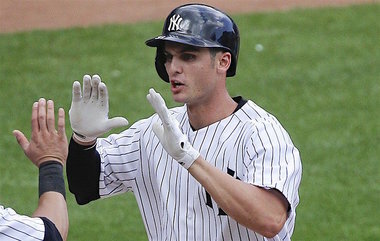 Greg Bird is playing in his first live game action since his shoulder surgery back in Spring Training of this season. .231/.355/.385/.739 with six hits, four doubles and three RBI in 26 at bats.